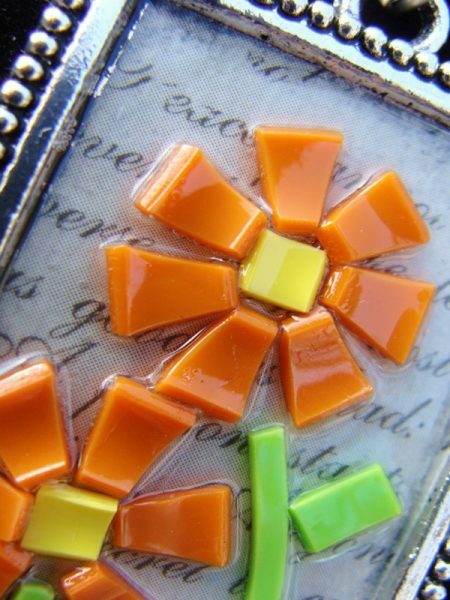 Project Description: Learn how to create your own mosaic pendant using Grafix Shrink Film. Start by cutting medium size pieces of flower petals and steams from the colored Shrink Film. Then use your toaster oven or heating tool to shrink the film. Cut your patterned paper to the size of the pendant frame to use as a background. Arrange the shrunken flower pieces inside the pendant frame. 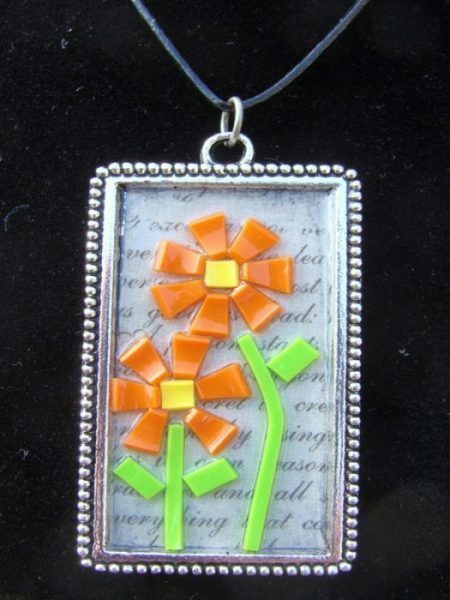 Finally fill the pendant with your choice of clear medium coating like resin to set the flower pieces. You can either fill the pendant half-way for a dimensional look or submerge it for a smooth surface.